Balayage is the hottest new trend in hair design. It is not a style, like ombre, but rather a technique which comes from the French translation of balayage, “to sweep”. Balayage is a highlighting method where color is painted onto hair creating fresh, natural looking variations. The technique adds highlights that are more subtle than foils and more natural than ombre; it leaves a sun-kissed impression throughout the hair. 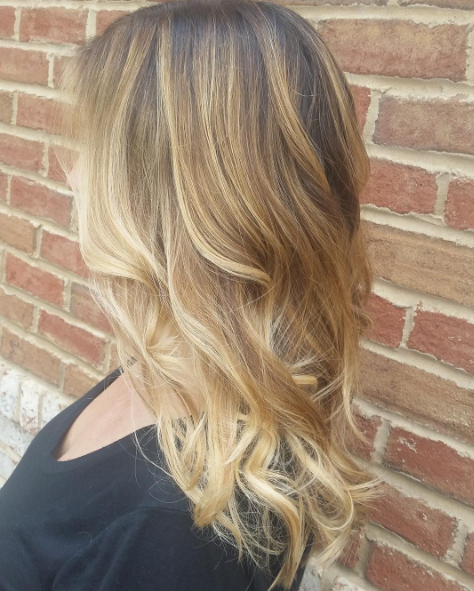 Along with a customized look, balayage is easy to maintain. Because the color is hand painted, you won’t have an obvious regrowth line to deal with. Not sure what color treatment to choose, give balayage a try at your next appointment, you’ll love the results.